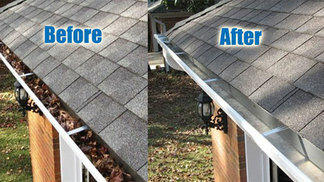 Having clean gutters is one of the best ways to prevent excess water and moisture from seeping into unwanted areas on your property. By having water flow into drains and away from your property and any exposed wood greatly reduces the risk of wood-rot and premature weathering of surfaces. Trapped or standing water in your gutter system is a perfect breeding ground for mosquitoes.